Contributed by Steve Paul Johnson [steve@cleardigitalmedia.com]. Total records = 41. 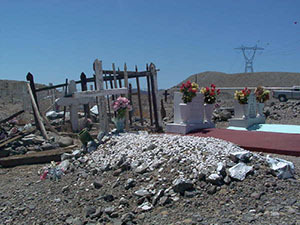 The cemetery is located about 1 mile north of the town of Bard, near the Laguna Dam right on the All American Canal. To get there take Interstate 8 to the town of Winterhaven on the Arizona border. Take the Winterhaven exit and get on County Highway S24. Stay on S24 for several miles through the town of Bard. The highway changes names several times. Just outside of Bard, you will pass by a store called, "Cole's Corner". About a mile beyond this you will come to a bridge crossing a canal. At this point, you should see a State Historic Marker describing the location of the Mission San Pedro y San Pablo de Bicu�er. There are a couple of dirt roads here that lead past the Marker. Take either one of these roads, which should take you up to the All American Canal. You will see signs posted warning people not to trespass. If you choose to continue, turn right when you get up on to the canal. The cemetery lies just a few hundred feet away, almost directly under the power lines. Potholes was a placer-mining gold area. 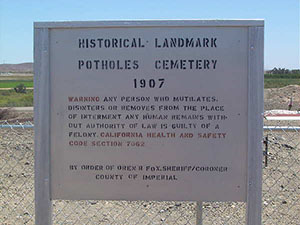 An article published in the Los Angeles Times in 1902 stated that people had been digging for gold in this area since 1720, calling Potholes the oldest placer camp in the continental United States. To this day, people can still be seen here panning for gold. Potholes had at one time a population of 4 to 5 hundred miners, most of them Mexican. The placer deposits were worked into the 1930s. The cemetery was originally placed where the All American Canal runs through. 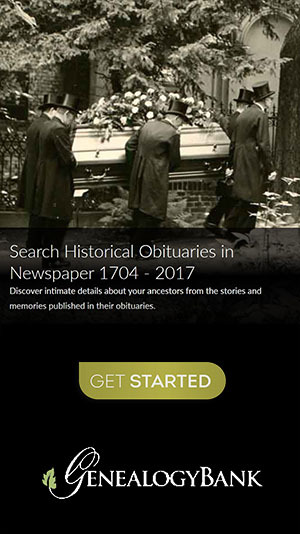 When construction began on the canal, construction workers had to relocate the cemetery. The cemetery today most likely covers a smaller area than its original location. Most of the graves are marked by small mortuary tins with the names no longer readable. All of the original wooden markers have deteriorated. I estimate the current total of graves to be around 300. It could have been more than that at its original location. All the names below were recorded by myself from tombstone readings. 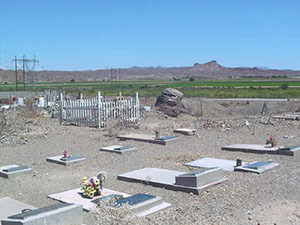 The lone record for "Richter, Richard" was found in the book, "Southern California's Best Ghost Towns", by Philip Varney. This book was also the source of the history noted above. Enriquez, Ricarda Rios, b. 1879, d. 1928, "This Plaque Dedicated by Grand Nephew Emilio N. Parra"
Lopez, Chona M., b. 25 Feb 1885, d. 27 Dec 1983, "Recuerdo de sus hijas Rosa y fam., Gregoria y fam., descanse en paz"
Lopez, Mike V., b. 5 Jul 1883, d. 29 May 1961, "Recuerdo de sus esposa, hijos y nietos"
Melendrez, Manuel, d. 1916, 25 yrs, "This Cross is Made of Mesquite Wood"
Molinar, Jesus, b. 1888, d. 1933, "Esposo y Padre"
Parra, Antonio R., b. 1904, Picacho, CA, d. Apr 1933, "In Loving Memory Tio"
Parra, George E., b. 18 Oct 1936, Yuma, AZ, d. 8 Jan 1980, Hollywood, FL, "Loving Memories from his wife Donna"
Parra, Julian, b. 19 May 1867, Ehrenburg, AZ, d. 5 May 1937, "Son of Felizario Parra, who in April 1876 Discovered the Mesquite Diggings, Last of the Gold Bonanzas in the Southwest - This Plaque Dedicated to their Memory by their Family, October 25, 1969"
Parra, Paula R., b. 1871, Gila Valley, AZ, d. 30 Mar 1928, "In Loving Memory Nana"
Parra, Ramon N., b. 24 Oct 1914, Bard, CA, d. 9 May 1988, San Diego, CA, "In Loving Memory Wife and Family"
Parra, Ramon R., b. 22 Feb 1889, Nortons Landing, AZ, d. 5 May 1969, "Son of Julian Parra. This Plaque Dedicated to his Memory by his Sons and Daughters, October 25, 1969"
Parra, Tony III, b. 14 Jul 1972, d. 15 Oct 1994, "Son - Grandson - Brother - Nephew"
Ramirez, Teodoro, d. 1913, 85 yrs, "This Cross is Made of Mesquite Wood"
Rios, Trinidad Quiguis, b. 1834, d. 1909, "This Plaque Dedicated by Great Grandson & Great Granddaughter Emilio N. Parra, Trinidad Parra Campuzano"
Solomon, Rosita M., b. 1903, d. 1911, "Querida Hermana"